How's your Mother's day celebration mommies? It's manic Monday once again! My MYM entry for this week is the photo below. I took this picture a week ago when we went to the library. 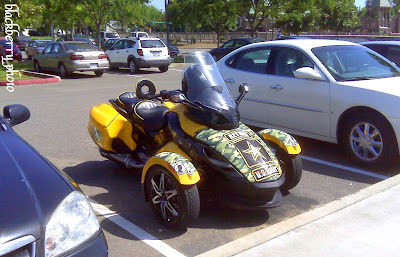 When we're about to leave, I saw a nice 3-wheel motorbike parked next to our car. Wow nice ride! It says there " Retired U.S Army".